Session Fees: Please contact my office. Tamara is a registered Psychologist, in good standing with the Association of Marriage and Family Therapy, the College of Psychologists, and the Canadian Association for Child and Play Therapy. Tamara received her Master of Science in Marital and Family Therapy from Loma Linda University and training in Play Therapy through Rocky Mountain Play Therapy Institute. Tamara took her addiction training at Betty Ford Clinic and is trained in Trauma work. Tamara has taught Couple Counselling at the graduate level and Childhood Development classes at the University level. Currently she has been involved with workshop surrounding the art of forgiveness and mindfulness. She has over 20 years of experience working with children, youth, adults, couples and families in various positions and roles with multiple approaches suited to the needs and circumstances of the client. Tamara has been in private practice for over five years, and has worked in the School system and a Mental Health office for over 10 years. Tamara also spent several years working cross-culturally, which has provided a deeper awareness of client’s uniqueness and universal connectedness in suffering. “Tamara has many qualities that serve as a foundation for being a capable and compassionate clinician. The most important of these is a heart that is tender and sensitive to the pain of others. Tamara has extensive experience working with families where abuse and addiction is present. She is particularly gifted in her work with traumatized children.” (a direct quote from a professional reference letter). 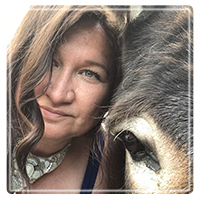 Tamara feels honored to be able to join and work with clients on their personal journey to wellness through compassion and knowledge in a safe, caring environment.